Pre-debate the President was around [1.48] to win re-election, with that price narrowing slightly in the aftermath to [1.43], reflecting a two percent increase in his chances. The second debate was a feisty encounter. Both President Obama and Governor Romney were aggressive and clearly motivated for the fight, knowing exactly what is at stake. Before the second presidential debate in New York, the RealClearPolitics poll-of-polls showed Mitt Romney leading Barack Obama by 47.4 to 47.1 percent. Key swing states including Ohio, Florida, Virginia and Colorado were all very much within the margin for error. In other words, we had a virtual dead heat heading into the penultimate televised clash. It will be a few days before we see any in-depth and reliable polling that shows the real impact of the debate on voting intention, but snap polls carried out on the night gave a 'slight edge' to the President, showing that 46% of voters perceived him as victor in the debate, versus just 39% for Romney. The 14% in the middle will undoubtedly be the focus of both campaigns over the next three weeks. The first debate was unquestionably a turning point for Mitt Romney. It kept him in the game. The second was never going to deliver the same impact for either candidate, but Romney needed to build on that first outing and the wider message that he was level, if not ahead, in key polls. Whilst I don't think he did that, he certainly didn't do any huge damage. The Betfair markets largely agree with that. Pre-debate the President was around the [1.48] mark to win re-election, with that price narrowing slightly in the aftermath to [1.43], reflecting a two percent increase in his chances. Not huge, and on balance about right. The market being settled on Obama at [1.43] and Romney at [3.3], a 70/30% split, strikes me as being about right for this stage of the game, but perhaps those prices are slightly short-sighted. The first two debates were crucial for Romney, who is undoubtedly stronger when talking on the economy. It is when it comes to foreign affairs and appearing 'statesmanlike' where Obama is in a different league, and understandably so given his first term experience. So it is far from ideal for the Governor that the third and final debate in Boca Raton is focused on foreign affairs. Whether talking about the Olympics, the Palestinian peace process, Libya or pretty much any topic Mitt Romney has addressed on events outside US borders, a calamity has often followed. Putting that slight handicap aside, Obama has delivered on this stage over the last four years and killing Osama Bin Laden resonates with Americans of political stripe. I can't see how Mitt Romney can make any headway in the third debate. If he comes out unscathed it will be a miracle. To that end, backing the President in the Betfair market at [1.43] now with a view to laying post-Boca Raton (where he should shorten to around [1.3] seems sensible. 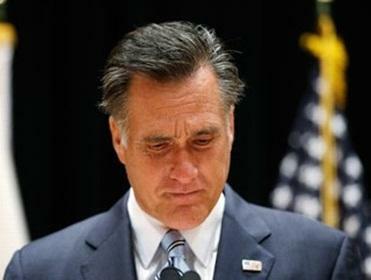 Mitt Romney still needs game changers, but they won't come until that final bout is over.